center including state-of-the-art operating suites and 72 private patient rooms with fresh air balconies. 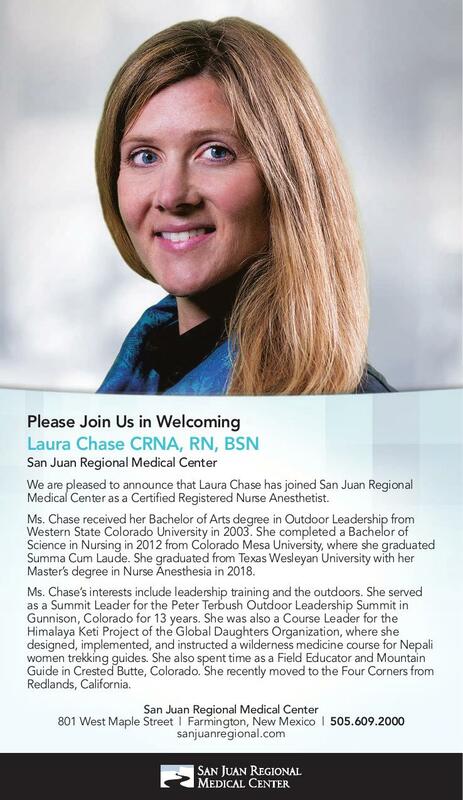 As a non-profit, community owned hospital, San Juan Regional Medical Center serves the Four Corners area of New Mexico, Arizona, Colorado, and Utah. 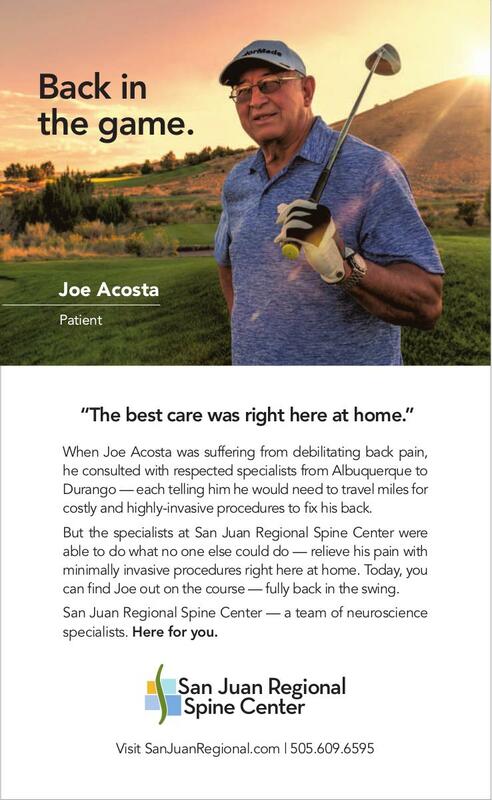 The SJRMC network includes an 18 bed rehabilitation hospital, San Juan Health Partners specialty clinics, heart center, outpatient rehabilitation care , outpatient diagnostic services, wound treatment center, AirCare emergency service, a free standing cancer center, San Juan Regional Spine Center, and San Juan Regional Heart Center. We have expanded our clinics to provide services in Aztec, Cortez, and Bayfield. Our approach is to satisfy the expectations of our patients and attract and retain leading physicians, nurses, and other healthcare professionals. San Juan Regional Medical Center is committed to integrating advanced medical technologies and to continually improve patient care while keeping safety at the forefront of all we do. Our core value of Sacred Trust calls everyone who works for San Juan Regional Medical Center to live, breathe, and create a culture of safety- safety for the patients we serve and safety for each other. In addition, SJRMC provides quality medical care regardless of race, creed, gender, national origin, disability, age, or ability to pay. Our hospital provides charity care and discounts through a community service fund upon application. No person is refused care because of an inability to pay. SJRMC provides care to patients covered by Medicare or Medicaid and is a Medicaid provider for New Mexico, Arizona, Colorado, and Utah. In 2016, SJRMC received a three-year accreditation by DNV. Our organization was evaluated in hospital quality, safety, innovation, and continued performance improvement. By participating in these continued activities we are able to provide personalized healthcare to our community. San Juan Regional Medical Center received the Healthgrades Distinguished Hospital Award for Clinical Excellence in 2013, and is ranked among the top five percent in the nation for overall clinical excellence. In addition to this national recognition, San Juan Regional Medical Center is also the only hospital in New Mexico and the Four Corners Region to receive this distinction."